Top-ranked Loyola completed one of the most difficult tasks in local high school soccer, completing the regular season unbeaten and untied in the MIAA A Conference. The Dons (17-0, 16-0 MIAA A), which long ago clinched the top seed for the A Conference playoffs, achieved regular season perfection with a 1-0 win over No. 6 Gilman, under portable lights Thursday evening at Blakefield. Luke Briggs drove in the only goal of the contest when Matt Lala’s shot was blocked in front and sent in his direction, with four minutes to play in the first half. The setback could cost Gilman (13-5-2, 10-4-2 MIAA A) the second seed for the playoffs. The Greyhounds have 32 points and currently occupy second place with their regular season complete. No. 4 McDonogh, however, moved within one point with a 5-0 rout of John Carroll on Thursday. The Eagles can jump into the second seed with a win or tie against No. 11 Calvert Hall, as those two teams close the regular season on Friday in Owings Mills. A win over Calvert Hall gives McDonogh second outright and a tie elevates the Eagles as well by virtue of their 1-0-1 head-to-head record against Gilman. Calvert Hall (10-7, 8-7 MIAA A) also played on Thursday and overpowered St. Paul’s, 5-0, on the road in Brooklandville. The victory clinched the fifth seed for the Cardinals and they will open the playoffs at Archbishop Curley on Monday. No. 17 Mount St. Joseph (7-8-1 overall and in MIAA A) also closed its regular season on Thursday, topping Archbishop Spalding, 2-1. 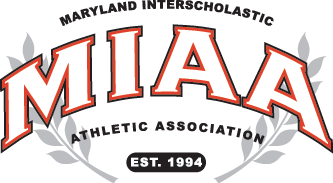 The Gaels entered the day with a chance to pass Calvert Hall for fifth, but now must settle for the sixth seed. The Gaels will travel to the third seed on Monday. Sophomore Tyquan Stroud and junior Dmitri Jordan scored for St. Joe, while Leo DePole, assisted by Alex Flores, scored for the Cavaliers. Pictured above: Loyola Blakefield students storm the field as the Dons completed a perfect regular season under the lights at Blakefield.